Pronunciation note: The sound file includes coup de fil pronounced with and without the e instable; in the latter pronunciation, you can hear the assimilation of [d] to [t]. 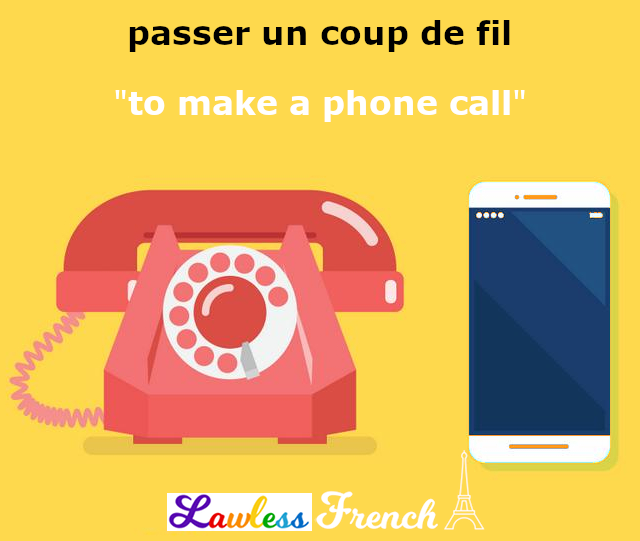 Usage notes: Even though today the vast majority of phones are wireless, the informal French expression un coup de fil is here to stay. It’s typically used with the verbs donner, passer, and recevoir. Je veux donner un coup de fil à ma sœur. I want to call my sister, I want to give my sister a call. Il a passé un coup de fil à Marc. He called Marc. As-tu reçu un coup de fil des enfants ? 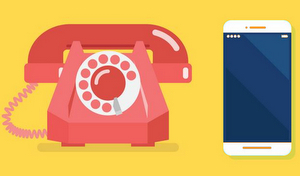 Did you receive/get a call from the kids?